Fastrack III- real cut on demand has finally been developed!! now your digital printed job can look really professional. Laminate, die cutting, waste remove and slitting in only one pass. super intelligent sensors guarantee extreme cutting precision, and recognize the gap between printed labels or black marks. all you need is one flexible blade to save your time and money. You can cut labels that are up to 500 mm in length. Change the magnetic blades/die in just a few seconds!! Fastrack is our reciprocation to the development of the digital roll to roll label print industry. Digital printing systems are becoming increasingly prominent due to their speed, printing quality and cost-effectiveness. The biggest problem for any prospective buyer is, or as a matter of fact “was”, cutting out printed labels and their finishing processing. Now, everyone who wishes to enter the world of digital, on-demand printing, at least expects identical printing capacity, simple operation, and flexibility regarding order delivery. What are the main advantages of Fastrack III? Working in-line with almost all digital web presses. Easy to set-up – cut out at the same speed, as you print. Recommended for: Hp Indigo, Efi Jetiorn, Xeikon, Colordyne Cdt 1600 Pc, Primera, Memjet, laser printers and thermo-transfer printers. Cut & laminate printed labels. 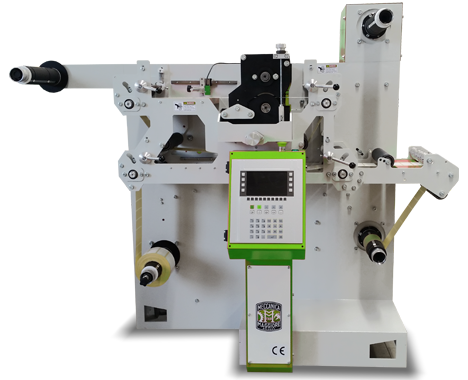 Fastrack enables you to cut and laminate printed labels on all web-press machines. In one pass we can also cut the web using very precise pneumatic tools. The maximum amount of pneumatic tools ranks up to 20!!! All blank labels -one cylinder. 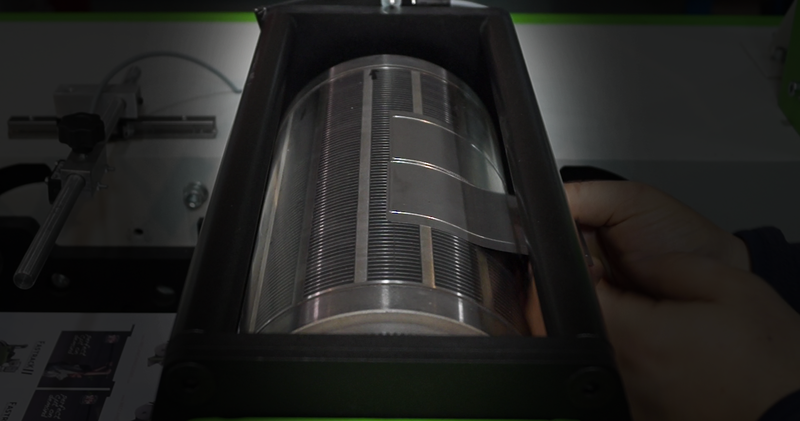 Yes – you can forget about the need to purchase dozen diameters of magnetic cylinders. Now you will become the greatest competitor on the market!!! Changing the size of labels? Set up the die in just 30 seconds. Work in the “free run mode” for 90 m/min. Maany Customers are seeking solutions based on the laser technology (the high investment cost and large amount of restrictions resulting from characteristics portrayed by the media) or of modified cutting plotter machines (in this case the printing speed is reduced by several times as opposed to the printers abilities). However, both solutions are adopted and remain compatible with the existing technology. Thanks to our close partnership with printing houses, we are provided with the knowledge regarding the actual requirements, allowing us to design and present new technology, which will play a crucial role in the digital revolution and unlock the full potential of digital equipment and go beyond that. Fastrack is a reliable system, well thought out, and built to last. It is made with the highest quality raw materials and components. It features a user-friendly, intelligent operation. 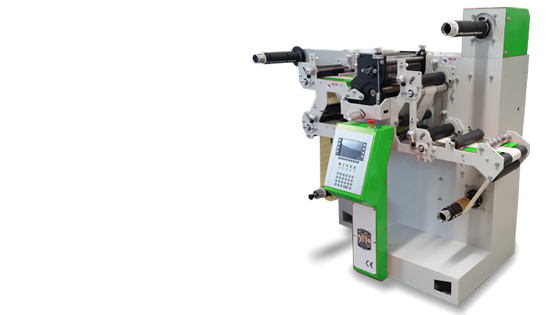 With extra large blades, the equipment can reache up to 50-90 m/min and a cutting width of 250 or 350 mm enables compatibility with almost any roll printing system. 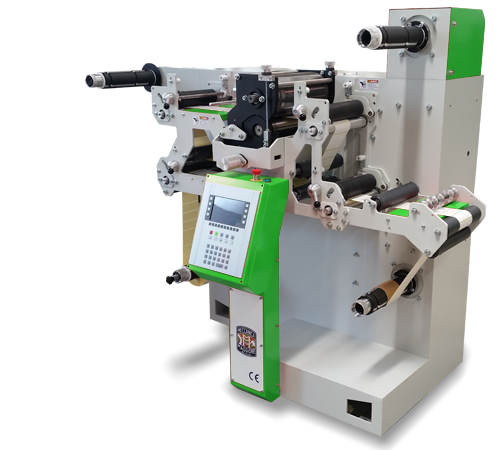 Using one magnetic cylinder and exchangeable magnetic dies grants the accurate media cutting abilities while guaranteeing the best quality. Optional: Automatic webguide, pneumatic slitting system, ultrasound unwinding system for digital printers. The maximum dimensions of the label: the width 250 or 350 mm and the length up to 500 mm. Fastrack recognizes the gaps between labels and black marks. This is a great feature, which eliminates the time required for cutter calibration. It is dedicated to in-line operation with, for example, Memjet printers and eliminates the problem of the water resistance thanks to lamination. It also improves the convenience while working/operating with large rolls of media – an external diameter measures about 720 mm (about 2000 linear meters). The patented intermittent cutting system is very different from other technology that is currently available on the market. The magnetic cylinder is constantly in motion and is revolving, and the media located underneath it moves in and out, precisely at the most appropriate time. Thanks to this novel solution, we are able to offer higher efficiency and excellent work quality. Now you really can produce true print on demand!